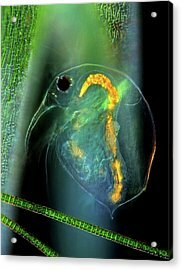 Water Flea And Desmid On Sphagnum Moss is a photograph by Marek Mis which was uploaded on July 24th, 2016. 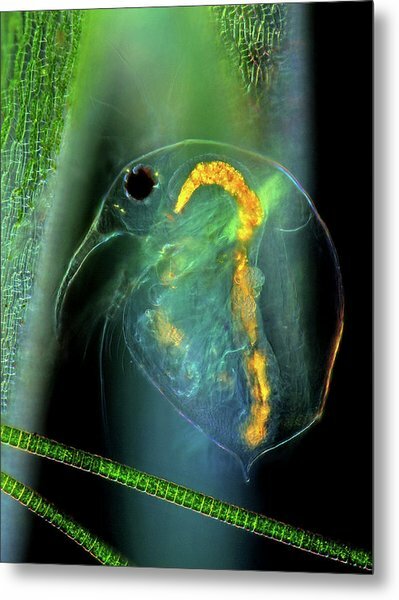 Water flea and desmid on sphagnum moss. 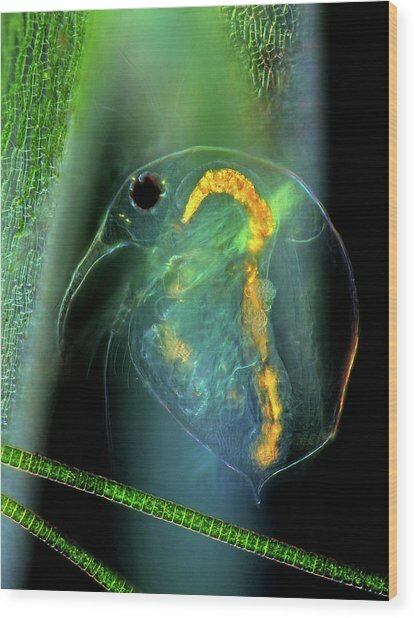 Darkfield illuminated polarised light micrograph of a Bosmina sp. water flea (centre) and Hyalotheca sp. desmids (green, bottom) amongst Sphagnum sp. moss leaves (green, vertical). 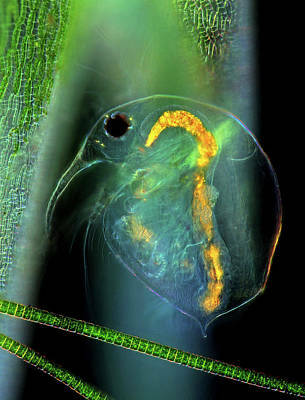 Water fleas (order cladocera) are small crustaceans, commonly found in fresh water. They are filter feeders that ingest algae, protozoa or organic matter, and are a constituent of plankton. 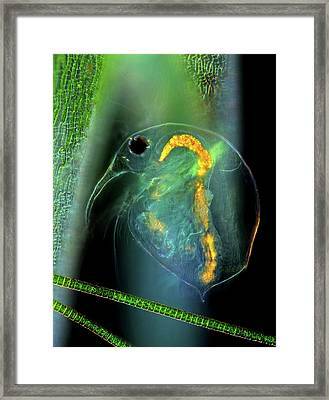 Desmids are a common group of freshwater single-celled algae that have intricate cell walls. Magnification: x200 when printed 10 centimetres wide. 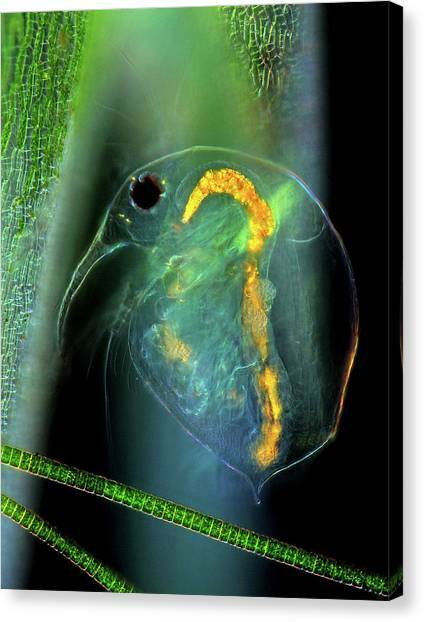 There are no comments for Water Flea And Desmid On Sphagnum Moss. Click here to post the first comment.